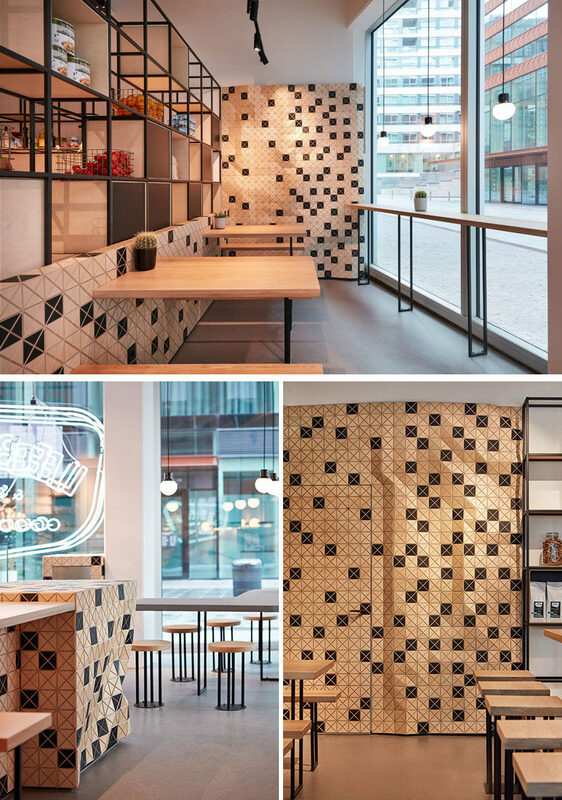 Studio Akkerhuis has recently completed the design of the Lebkov & Sons Café in Amsterdam, that features the use of Wood-Skin, steel, and concrete. Stepping inside, the bar and the open kitchen form the centerpiece that organizes and structures the entire café space. The wood-skin has been used to create a sense of movement, with an almost-organic shape to the bar and walls. Wood-skin has also been applied to some of the walls, creating visual interest that can be seen by people walking past. The seating areas that surround around the central bar, are designed to create a diversity of interesting spaces throughout the different areas of the cafe. 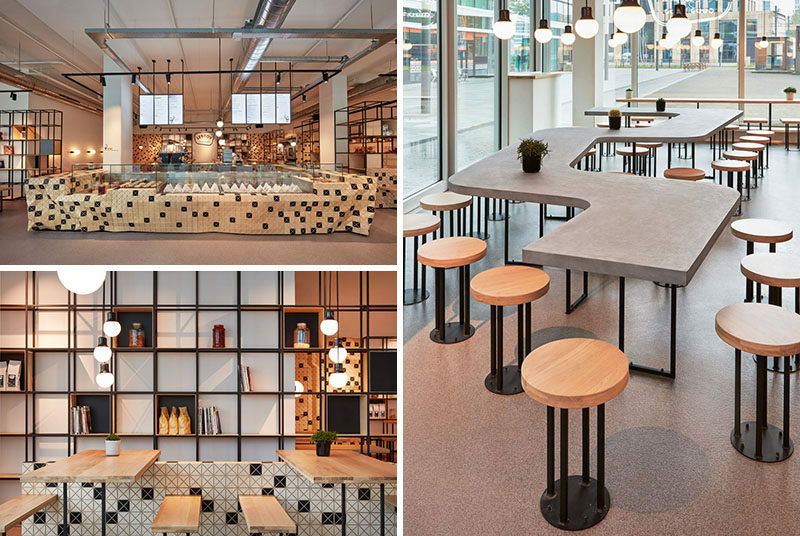 These include wooden benches next to the kitchen, a snake-like, concrete shared table along the facade, the central bar counter, and a raised platform where the barista’s concrete working tables extend over the counter and become the customer tables. Also included throughout the cafe are sections of open storage made from a modular steel structure, where fresh products and coffee beans are displayed.